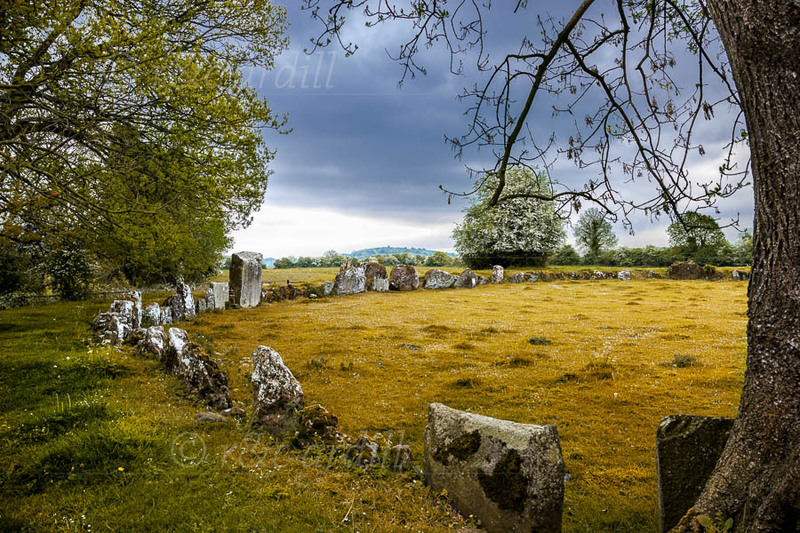 This magnificent neolithic site near Lough Gur in County Limerick has the largest stone circle in Ireland. The stone circle was built around 2000 BC. The name Grange comes from Lios na Grainsi which in Gaelic means 'Stones of the Sun'. The large stone (centre left) is called Ronnach Croim Duibh (the prominent Black Stone). It is over 13 feet high and weighs 40 tons. The circle has a diameter of 150 feet. It is aligned with the rising sun at the summer solstice.